Ouray Memorial Cemetery is located a little northeast of Ignacio off Buck Highway (County Road 521). It is now designated for tribal members only. The Ignacio East Cemetery is located southeast of Ignacio off County Road 321. The East Cemetery, formally known as the Protestant Cemetery, was established in 1918. During this time, Anglo burials were exhumed from the Ouray Cemetery. The Ignacio West Cemetery is located southwest of Ignacio off of County Road 318. The West Cemetery, or the Catholic Cemetery, was established sometime around 1930 – the exact date is unclear. The Ignacio East Cemetery is located southeast of Ignacio off of County Road 321 and is formally known as the Protestant Cemetery. In a town of only 730 residents, it’s not that surprising there are more dead than living in Ignacio. What is surprising is the number of cemeteries where the dead reside. 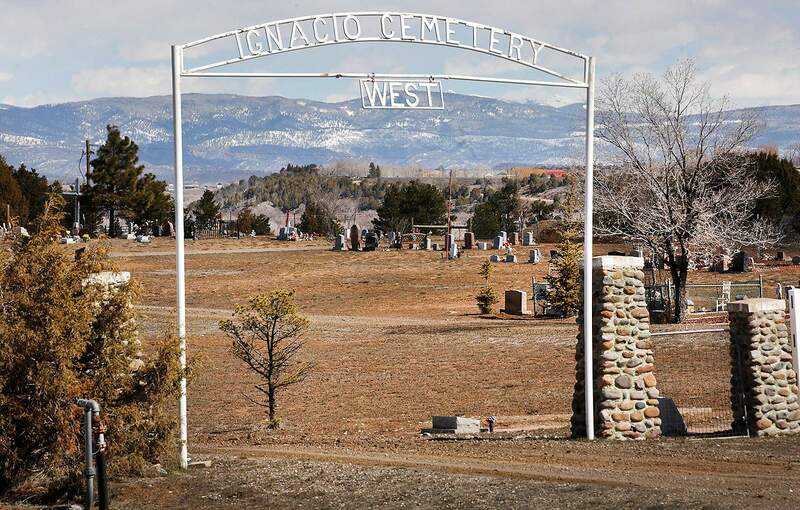 There are three: Ignacio East Cemetery off County Road 231; Ignacio West Cemetery off Highway 172; and the Ouray Memorial Cemetery, which sits on tribal lands just northeast of town. Ruth Lambert is the cultural program director for San Juan Mountain Association, which has been documenting rural cemeteries in La Plata County since 2010. She has documented more than 25 cemeteries and said that three cemeteries in one small town is unusual. But Ignacio is an unusual town. Finding forgotten graves Ignacio’s oldest cemetery, which predates the current three, was forgotten for years. 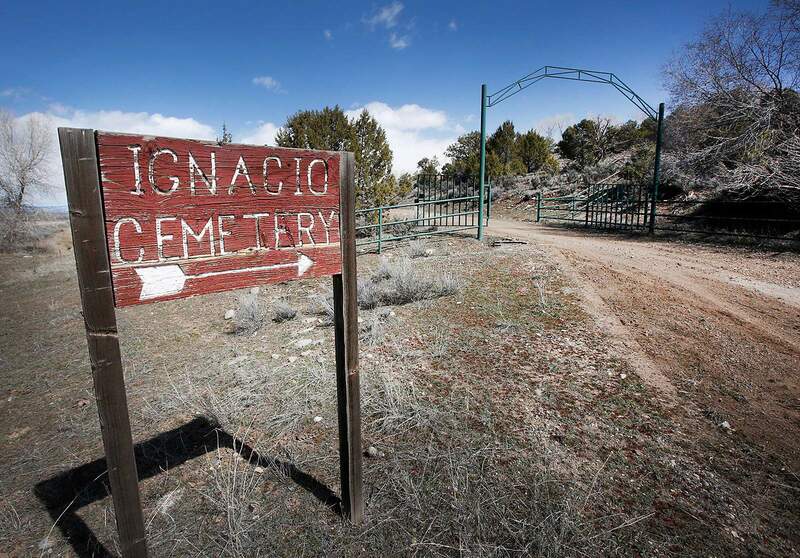 Old newspaper references say the town closed the Old Ignacio Cemetery in 1910. 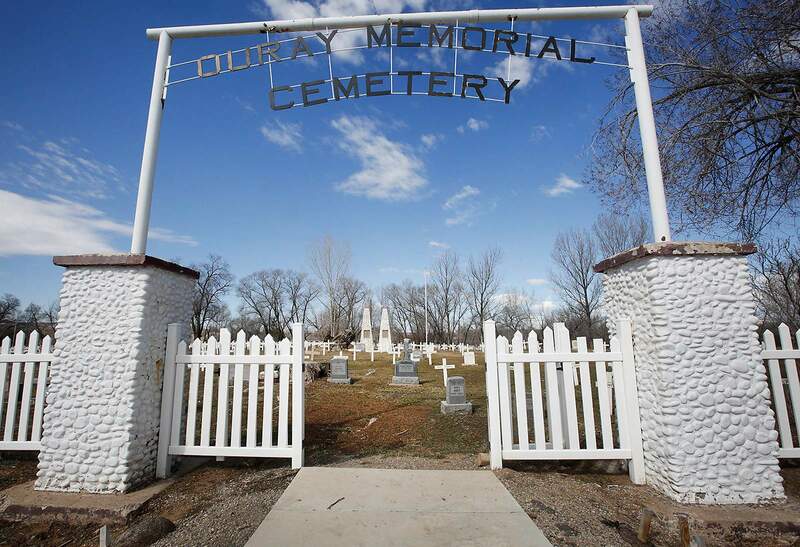 The same year, the Commission of Indian Affairs designated four acres for the Southern Ute Agency for a new cemetery, which is now the Ouray Memorial Cemetery. Two acres were for the agency and two acres for the Catholic church. 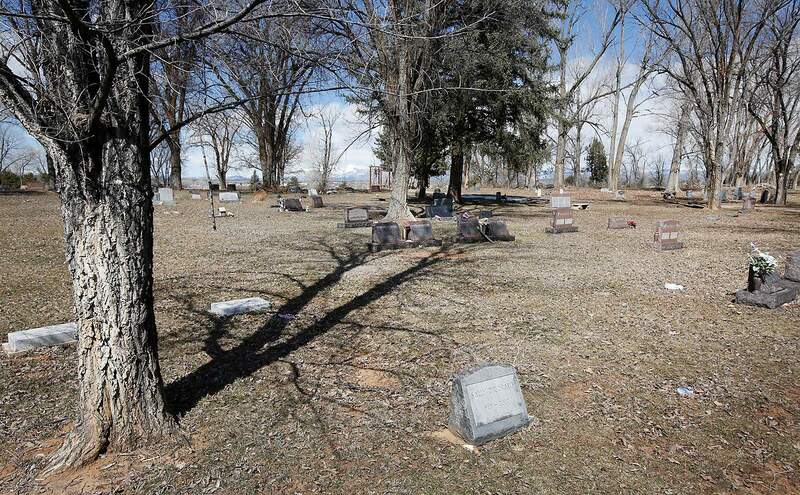 It is uncertain why the cemetery was moved, although Laura Whitt, a history buff and one of three directors of the Ignacio Cemetery District, thinks it could be because the cemetery started on land that didn’t belong to anyone. Whitt said the families themselves would have been responsible for either hiring someone or unearthing and then reburying their loved ones themselves. “It was 1910; they didn’t have a backhoe,” Whitt said. The three cemeteriesThere are three cultures ingrained in Ignacio based on a checkered history: the Southern Utes, Hispanics and Anglos. The cemeteries are a reflection of the different cultures. The East Cemetery was established in 1918. During this time, a few burials were exhumed from the Ouray Cemetery. The first burial at the West Cemetery, which was informally called the Catholic Cemetery, was in 1926, although the location of the burial is unclear. Lambert said the Catholic nickname was inaccurate because it was not sanctified by the Catholic church. Both were and continue to be community cemeteries and people of various religions are buried at each, but it’s hard to ignore that they are mostly segregated. America’s past was segregated. And the Ouray Cemetery is now designated for tribal members only. “The major differences between the East and West cemeteries seem to be the ethnicity (of the people buried)​,” Lambert said. The names etched on the headstones make this contrast clear. Names like Tobias, Casias and Watts rest together in the Ouray cemetery; Morrises, Patricks and Wisemans lie in rows at the East; and families such as the Silvas, Martinezes and Bacas sit on top of five acres at the West. Lambert calculated gross percentages of what groups are where based on surnames. 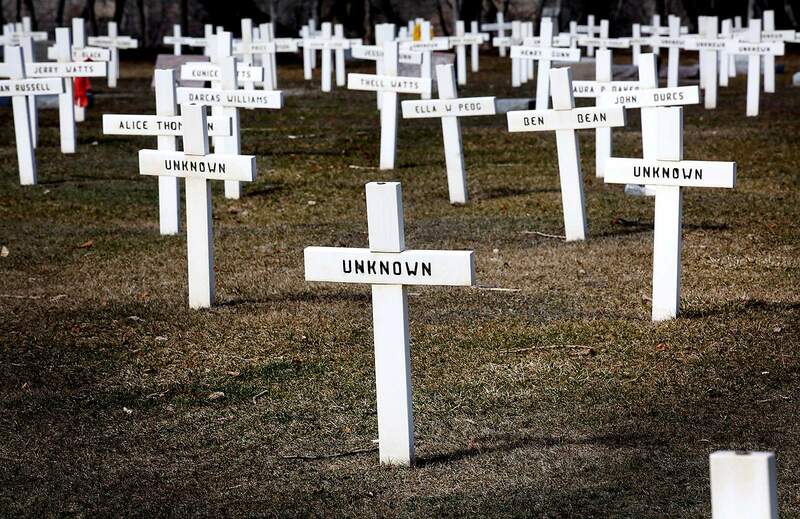 (The Ouray Memorial Cemetery was not included in the San Juan Mountain Association documentation project because of project limitations and it’s administered by the Southern Ute Tribe.) Ninety percent of the burials in the West Cemetery are of Hispanic heritage and 95 percent of burials in the East cemetery are of Euroamerican/Anglo heritage. She points out that these numbers could be incorrect based on her method. “Although there are distinctions (by ethnicity), I would be reluctant to say why those differences exist other than it’s a very diverse community,” Lambert said. Lambert thinks family traditions may account for the separateness – many families want to be buried near other family members. It could also be related to where the communities were located at the time the cemeteries were established. “I really like the very old Hispano first names such as Jesus, Emiliana, Conception, Elisio,” Lambert said. The Hispanic headstones are as vibrant as the names. Lambert said many of the Hispanics were poor and couldn’t afford to purchase headstones, so they decorated homemade ones with paint, tin ornaments, marbles, photographs and other items. Today, many of the modern headstones are similar in all cemeteries, although many of the etchings are different. Native Americans often include cultural imagery such as feathers and eagles, strong religious symbolism like praying hands and rosary can be found in the West Cemetery, and many of the headstones at the East are etched with flowers, nature scenes and religious designs. More interesting than the headstones are the people whose graves they mark. The respected leader who was known as a peaceful negotiator, Chief Ouray, and his successor and peacekeeper, Buckskin Charley, rest at Ouray Memorial Cemetery. The beloved Ute leader Leonard Burch, who transformed the Southern Ute Tribe out of near poverty to an economic force, lies at the West Cemetery. Burch wanted to be next to his wife who is part Navajo and cannot be buried as a tribal member at the Ouray Cemetery. The 21 remains found at the school construction site are now buried at the West cemetery as well. And one of the two Ignacio founders, pioneer Hans Aspaas, is buried at the East Cemetery. “When you get into history, it takes you to no end,” Whitt said.